Yoshiko is different; different to the point he feels existence is really quite pointless. Last to breathe fire, clumsy and with strange colourings he acquires a hoard of tormentors. Life seems so much more difficult for him: trying to fit in, trying to hide a secret about himself. But all that is about to change when he meets Guya, an elder and a recluse who knows things that no-one else in Dragor does and about places and people Yoshiko never dreamed existed. A courageous mission exists if Yoshiko can pass the trials that Guya sets - tasks that will require wisdom, fitness and the upmost bravery! For a story revolving around dragons, this book was great! I wasn't sure what to expect while starting this book because I rarely read children's books anymore. But this story had a very unique and creative storyline. The writing was fabulous and it felt like I was being told the story, like when you are little and someone is reading a fairytale story to you, but in a good way. Yoshiko is a great character and I liked how Ms. Suzuki was able to make him seem so human, even though he is a dragon. He had to deal with problems such as bullying, and being a little behind at school. She made all the characters very human like, and they faced many problems that people normally face. This aspect of the story along with the interesting plot made this book very enjoyable to read. The story sometimes felt a little bit slow to me, but the wonderful characters and the plot twists kept it interesting and the story flowing smoothly. 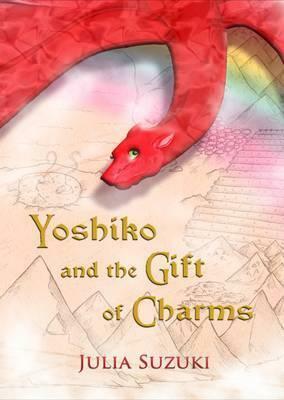 This book as a whole was written very well and Yoshiko was an amazing character even at such a young age. I am not really a fan of reading children's stories that much anymore, but this story was still very good and I overall enjoyed reading it. This book can be read by any age even though it's technically for children, but if you are a fan of fantasy stories, that too with dragons, than this book is a must read for you!